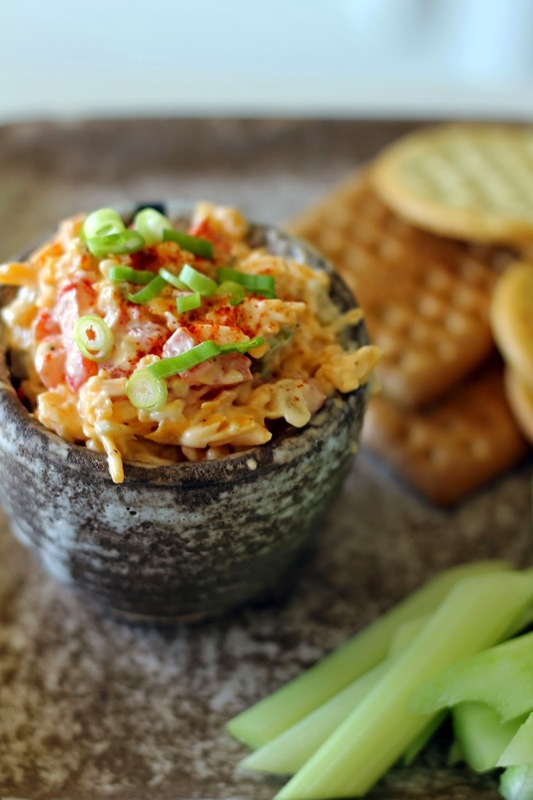 I'm not sure why, but I only crave pimento cheese when the weather warms up. As soon as the temperatures start to rise I want a pimento cheese sandwich. Oddly enough, my husband feels the same way. I have found memories of long days spent at the pool, only getting out to take a few bites of a pimento cheese sandwich and then diving back in. I also cannot make it 10 feet within The Grove without shoving one of my mother-in-law's pimento cheese sandwiches in my mouth. 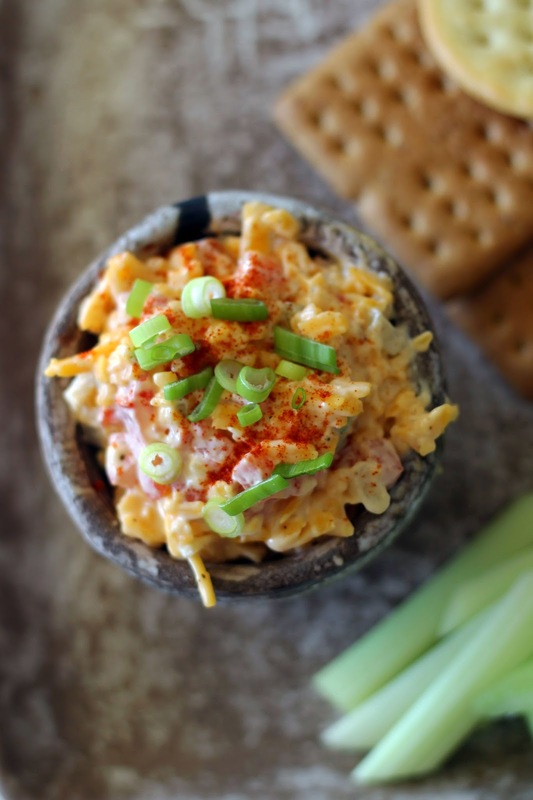 Pimento cheese has a season, and is best when eaten on outside without shoes on. 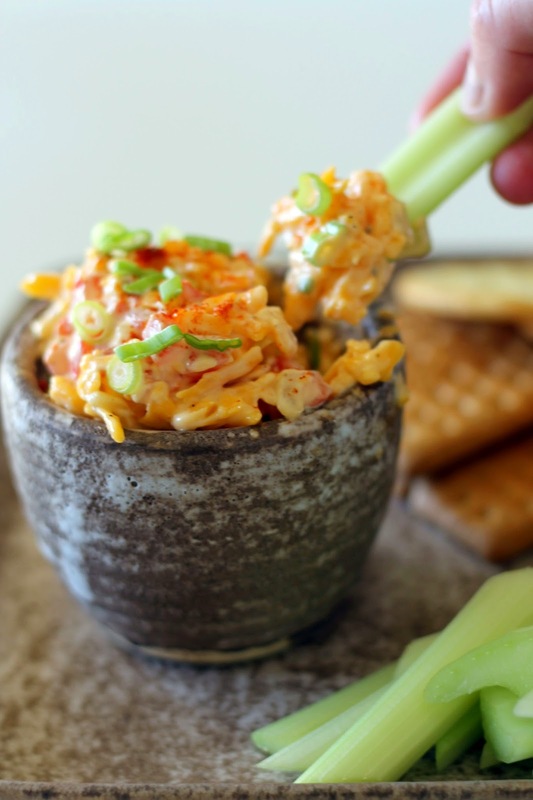 This dip can easily be eaten on a sandwich, but makes a great weekend snack or appetizer. Serve it with your favorite crackers or kettle-cooked potato chips if you're feeling naughty. 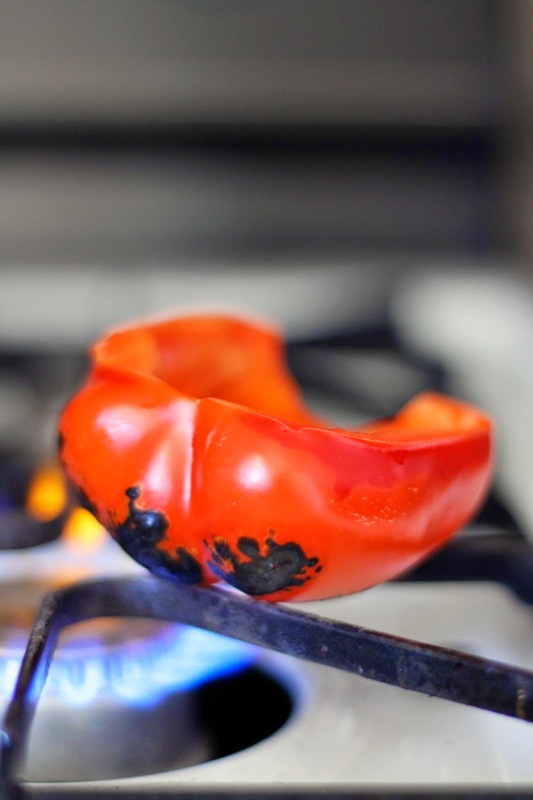 Place 1/2 red bell pepper over an open flame (I used a gas stovetop, but a grill or broiler would work as well). Rotate the pepper over the flame until the outer skin is completely charred. Remove from flame and place in a bowl covered with plastic wrap. Let steep for 5 minutes until skin is easily removable. Remove skin and finely dice. 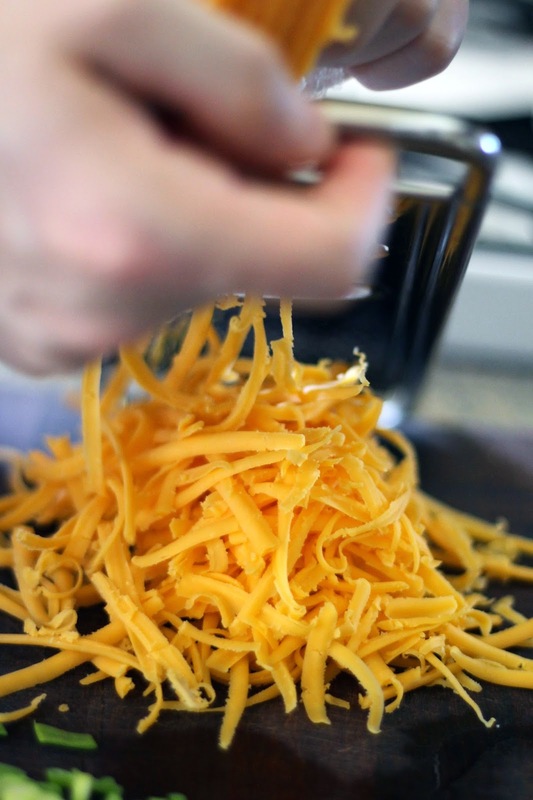 Combine cheese, scallions, pickle relish, and mayo in a large bowl, stirring to combine. For a creamier texture use 1/4 cup mayo, otherwise only use 1/8 cup. Garnish with smoked paprika and scallions. Serve chilled.